Level 3 Paediatric First Aid BLENDED – Meets Ofsted requirements. 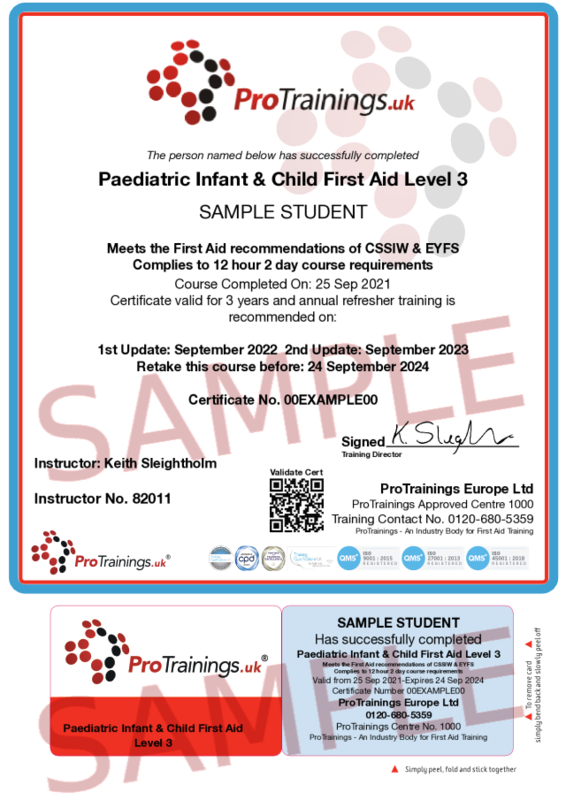 We are the only company to be able to offer an alternative to the 2 days in the classroom for childminders and carers who need to complete a Paediatric First Aid Course to comply with the requirements of Ofsted, EYFS, CSSIW and SureStart. Our blended course offers a video based online course that is completed before attending a full day in the classroom with an instructor to complete the practical part of the course. ProTrainings Paediatric courses are approved by most councils across the UK.